The University of Oregon is a research university—research is at the core of everything we do here, including teaching, publishing, and professional advancement. That is why support for faculty and graduate humanities research is a vital and essential part of the OHC’s mission. A term off from teaching to focus on research can make a tremendous difference to a scholar’s progress on a book, article, or dissertation. Currently, aside from one endowed faculty research fellowship (Ernest Moll Fellowship), all OHC faculty and graduate student research support programs are funded through either non-recurring institutional funds from the Office of the Vice President for Research and Innovation and the Office of the Provost or private gifts (for faculty) or annual gifts and unrestricted endowments (for graduate students). In addition, the OHC’s publication subvention and RIG support programs are largely funded through annual gifts and unrestricted endowments. Because most of these funds are neither dedicated nor recurring, OHC research support programs are always subject to shifting institutional priorities and economic conditions. We receive many more applications for worthwhile research projects from faculty and graduate students than we can fund each year—we are rarely able to fund even 40% of the faculty projects submitted; and only about 15% of the dissertation projects submitted. If you would like to be a part of the ground-breaking work humanities scholars are doing at the UO, please consider making a gift to the OHC in support of faculty or graduate research fellowships. The OHC accelerates the development of innovative undergraduate courses in the humanities through its Teaching Fellowship programs. Teaching Fellowships offer faculty an opportunity to develop new courses on subjects they would not normally teach, in ways they would not normally teach them, to substantially revise existing courses, or to create new team-taught, interdisciplinary courses in partnership with faculty from other departments. Teaching fellowships also provide course enrichment funds to enhance students’ experiences in these courses through invited speakers, field excursions, materials, movie screenings, etc. These courses span a broad range of academic disciplines and cultural perspectives, enrich the undergraduate curriculum, invigorate faculty, and give undergraduate students the benefit of fresh ideas and approaches derived from faculty research. Two of the OHC’s three teaching fellowship programs are funded by dedicated endowments; the third is funded primarily with annual gifts. 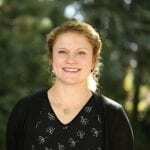 To get more information about giving opportunities and speak with our colleague Caitlin Elwood about supporting the humanities on campus and in the state of Oregon, call (541) 346-6140 or email celwood@uoregon.edu. Or contact OHC Director Paul Peppis at (541) 346-7017, or Associate Director Jena Turner at (541) 346-1001. If you’re looking for a way to balance charitable giving with your retirement needs or your estate planning efforts, consider making a planned gift. When you donate to the OHC and make a matching gift to the Oregon Cultural Trust you can claim your entire Trust contribution as a tax credit, reducing your Oregon tax bill.